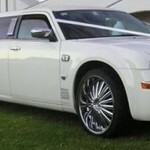 Weddings Car Hire Limousine Service pride in offering the supreme service creating ” special ” day one to show upon. Each vehicle is driven by an intelligently suited uniformed Licensed chauffeur. We keep up an identity for private service quality along with excellence. A wedding event car is absolute to make sure that your marriage ceremony is an unforgettable special day the same way you ever imagine. Below are few of our fleets. The new Bently Flying Spur establishes a fresh design and style dynamics intended for sedan effectiveness. A stylish direction is mirrored by a lower, wider appearance with sharp lines and gently curvaceous surfaces. glamorous and romantic Silver Flying Spur Bentley tend to make any sort of wedding event one to bear in mind as well as treasure. Start your honeymoon. Significant along with spacious it’s got an abundance of room or space for your bride’s wedding gown, along with the bridegroom will appear dapper with this prominent stretch limo. Phantom Rolls Royce, Presence and Tradition is definitely incomparable when it comes to Technological innovation, Functionality along with Accomplishment. Using this type of luxury comfort and ease verify, customer return repeatedly. excellent for Marriage ceremonies and even Horse Race Royal Ascot Events. With Free Wedding ribbons from the colour of your decision, all wedding car will be decorated to go with marriage ceremony celebrations.